Buoyed by their successes at the Mersey Valley Tour, a small but confident High5 Dream Team will take to the start line of the 2016 Battle on the Border ready for combat. The team will be led by two-time Battle on the Border winner and defending champion Tessa Fabry. Joining her will be Lucy Kennedy and guest rider Madeleine Fasnacht. Using her local knowledge, Lucy Kennedy is confident the team can produce a good result despite their low numbers. 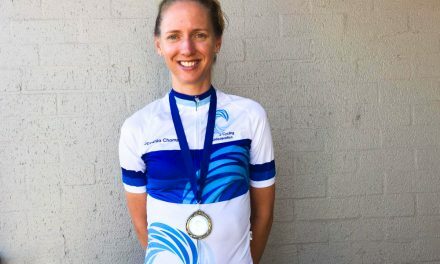 “After the Mersey Valley Tour ended on such a high with a High5 1-2-3 on the last stage, I’m really excited to be back racing following a solid month of training. “I do consider Battle my local race. It’s very nice to just jump in my car and not have to pack bikes and negotiate airports. I love the roads around the border and train on them when I can, so I feel like there’s a bit of a home-town advantage. “We may only have a small team here, but it’s a strong one. Tessa has won the past two years here so it obviously suits her well. We are tied in third for the series at the moment so will both be looking for strong GC results. It’s nice to have the young rising star Madeleine join us to see what we can do as a team” said Kennedy. 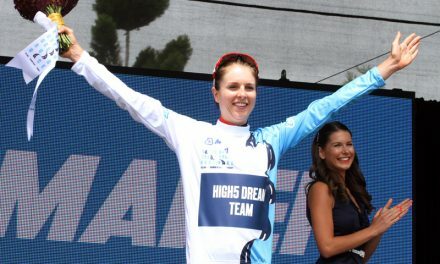 Fresh from leading the High5 GoExPro Australian Team in Italy, DS Donna Rae-Szalinski is back in Australia and up for the challenges Battle on the Border will present. 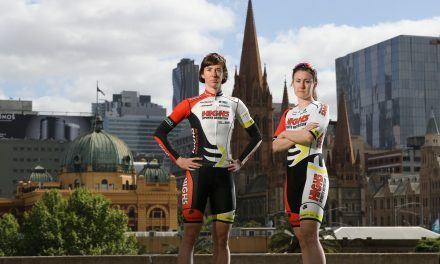 “The High5 Dream Team is very excited to return to the Battle on the Border. Although our team will be small in numbers it is determined to meet the challenge. Tessa Fabry and Lucy Kennedy showed excellent form in Mersey Valley Tour and are both familiar with the courses this weekend. “We are fortunate to have Madeleine Fasnacht as a guest rider on loan from the TIS for Battle. Madeleine burst onto the road scene in Mersey Valley Tour with an outstanding 10th place in GC. 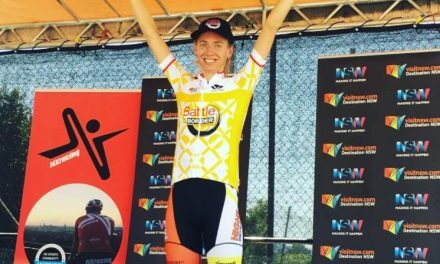 We look forward to the versatile stages including two solid road races, a fast and furious TT and the grand finale crit!” Concluded Rae-Szalinski. With four stages in three days, the pace will be unrelenting! Follow us via our social media channels for updates throughout the weekend.